Many people are unaware of the myriad of black mold health issues that may occur as a result of black mold exposure in the home. While most people have heard that black mold can make you sick, they often do not realize it can sometimes be deadly, it can cause problems like depression or chronic fatigue, and it can cause health problems that last for a very long time, even a lifetime. When we talk about black mold, we are talking about stachybotrys chartarum, a slimy black mold known to produce mycotoxins, chemical substances that are harmful or toxic. Many types of mold are black in color, though, so while it is a common strain of mold found in homes, you can’t be sure you are dealing with stachybotrys chartarum unless you have the mold in your home tested. The Centers for Disease Control and Prevention (CDC) says all kinds of mold are potentially harmful and need to be removed and therefore does not recommend routine testing to find out what kind of mold you have in your home. However, you can decide to have the mold in your home tested if you want to know for certain what kind of mold it is. Here is more about black mold testing. We’ll tell you about the most common health problems caused by black mold as well as some of the less common effects of exposure to black mold. We’ll also tell you what to do if you think black mold is making you sick. Keep in mind that not everyone exposed to black mold will get sick and those that do become ill as a result of exposure to mold may not develop all of these symptoms. You should also know that black mold is not the only type of mold that can cause health problems. 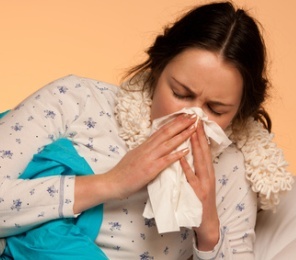 Exposure to any type of mold can make you sick. Some of these health problems may become chronic, not going away even after you’ve gotten medical treatment and are no longer exposed to mold in your home. Most of the time, mold-related health problems resolve when those two things happen, but occasionally they do not. Here you can read more about long-term health problems caused by exposure to mold. What Should You Do if You Think Black Mold Is Making You Sick? You need to do two things, and do them both as soon as possible. You need to get medical treatment and you need to remove the mold from your home. Medical treatment is not likely to be effective as long as you continue to be exposed to black mold. If you think you might be suffering from black mold health issues, you need to see your doctor as soon as possible. Let your doctor know if you’ve been exposed to mold in your home. If you’ve had the mold in your home tested and know it is stachybotrys chartarum, let your doctor know that, as well. Your doctor may need to order some tests, such as blood tests or a chest x-ray, to help make a diagnosis. The tests will depend on the symptoms you are experiencing, as will the treatment prescribed. Exposure to black mold can cause a wide range of illnesses, as described above, so treatment will vary depending on how the mold exposure is affecting you. You may need antibiotics or other medications. In order to recover from black mold health issues, you’ll need to have the mold removed from your home. 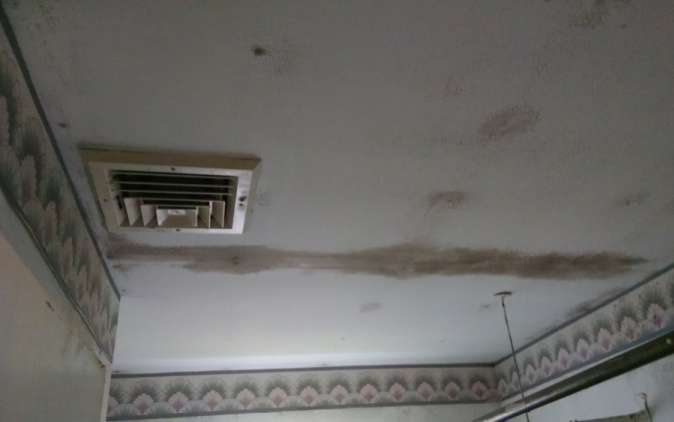 Continued exposure will impede your recovery and your condition may continue to worsen even with treatment as long as you are still exposed to black mold. If you have mold-related health issues, you should not attempt to remove black mold from your home by yourself. The process of removing mold exposes you to increased health risks at a time when your health is already compromised. Instead, we recommend contacting an experienced mold removal professional. Most offer free consultations, so even if a friend or family member plans to do the work for you, you can get some free professional advice. To find mold removal professionals offering free consultations in your area, just follow the link. Black Mold Smell - If you smell a musty odor there is almost certainly mold nearby. Finding hidden mold, removal. Black Mold Pictures - Additional pictures of black mold in different parts of the home. Inspecting Your Home - How to conduct a thorough inspection to find all traces of black mold in the home. Areas where mold is often found. Black Mold Detection Methods - Comparison of methods to find black mold in your home. Removing Black Mold In The Shower - How to safely remove black mold and prevent it from returning. Selecting a Mold Removal Company - Questions to ask, qualifications, guarantees, terms of payment.